On some level, you probably already know that, sure, it's pretty easy to make your own peanut butter. But if you've never actually made homemade peanut butter, I don't know if you quite understand how indeed, incredibly, ridiculously easy it really is. Peanuts, meet blender. Blender, it's go-time. Peanuts go through a few stages on their way to becoming spoon-able, spreadable peanut butter. At first, the mix looks impossibly crumbly and dry in the bottom of your food processor, but let the blender go a little longer and it starts resembling actual honest-to-goodness peanut butter. ☛4 tablespoons olive oil/peanut oil. ⏩Started off by blanching the nuts, this you do first by bringing water in a pot to a steady boil. ⏩Introduce your nuts into the boiling water and let them boil for 1 minute, be careful here not to overcook the nuts. ⏩When done with, strain the nuts of all the water. ⏩Preheat your oven to about 175℃. ⏩Go ahead and spread the nuts on the baking tray, don’t you worry about crowding the tray. ⏩Put it inside your oven and bake for 1 hour. ⏩Be sure to check from time to time turning the nuts around for even roasting. ⏩When done take them out of the oven and let them cool completely. ⏩Now take the peels off your nuts. ⏩You are done at this stage, however, I took mine back to the oven for a further 10 minutes to achieve a darker smokier color that I love on my peanut butter. ⏩Divide this into two or if you have a powerful and enough blender you can do it in 1 batch. 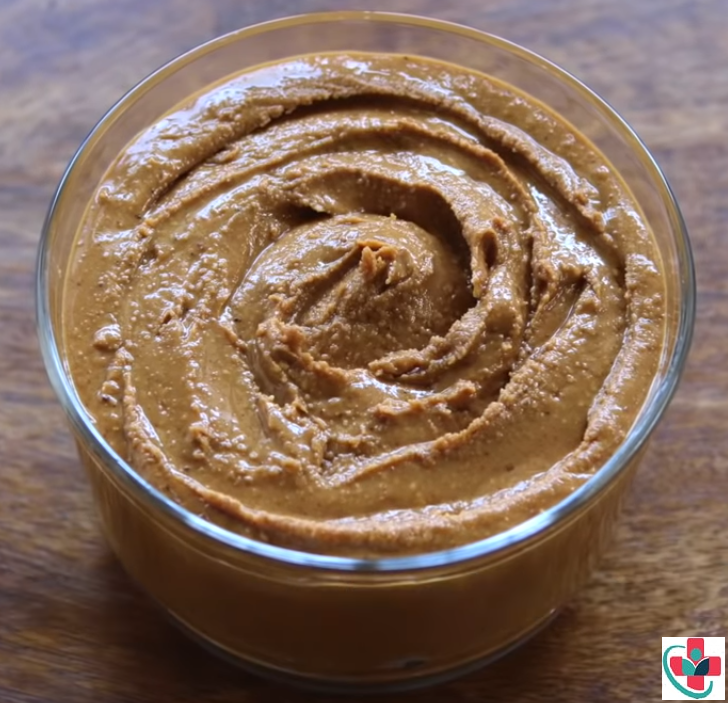 ⏩Pulse your nuts in the blender until it starts to form lumps and begins resembling peanut butter. ⏩Here introduce your oil, salt, and honey. ⏩Pulse further until smooth and consistent. ⏩Scoop this up into a jar and seal. ⏩It can be stored in a refrigerator for up to 3 months. ⏩You can spice it up by adding cinnamon, paprika, and other ingredients as you so wish.